Stick up for green! 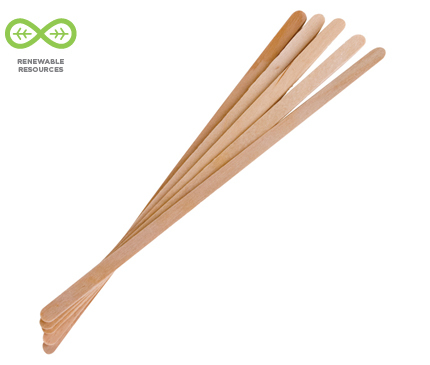 Made entirely from renewable materials, this simple birch Stir Stick helps mix in your coffee fixings just right - so no one will ever know the extent of your sugar habit. Complete your beverage bar with these simple, awesome beverage accessories. Complete your coffee bar with renewable and compostable stir sticks.